Andrei Arlovski (Pictured) saved his best for last on Saturday night at “ProElite II,” as in the very last second of his co-main event contest against Travis Fulton. For 14 minutes and 59 seconds, the former UFC heavyweight champ showed no desire to finish off his overwhelmed opponent. The fans inside the iWireless Center in Moline, Illinois quickly took notice, as they rained down boos for most of their 265-pound affair. HDNet commentator Michael Schiavello even accused “The Pit Bull” of fighting not to lose. Just as the ringside official was picking up the horn to put an end to their less than stellar scrap, Arlovski unleashed a vicious head kick that knocked Fulton out cold. 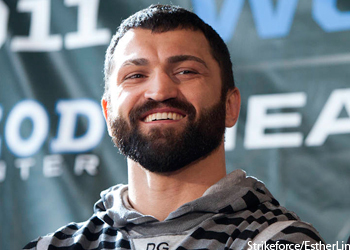 Arlovski bumped his record to 17-9 after the win. Thirteen of his victories have come by way of knockout.